Expert Financial Planning Services - John G. Ullman & Associates, Inc. The reasons people seek professional financial planning services are as unique and diverse as the people themselves. Whether you need help monitoring the big picture of your finances, want help with investments or require yearly tax preparation services, the financial planning experts at John G. Ullman & Associates, Inc. are ready and willing to provide top-notch, expert advice. Our team of experts has the experience to fully design and implement dynamic, customized plans. We achieve this by working across our service areas to provide you with the highest level of comprehensive guidance, which is always individualized based on your unique needs. Financial planning is an ongoing process that’s constantly evolving and changing. Our financial advisors understand this and work hard to provide you with continued support to help you identify, plan for and achieve your long-term and short-term financial goals. Smart investment management is a mechanism for you to achieve your personal goals and financial-related objectives. Your professional financial planning advisor works closely with you to devise an individual portfolio and comprehensive investment strategy that’s comfortable for you and based upon two things: your risk tolerance and our investment approach. At John G. Ullman & Associates, Inc., we take on the day-to-day tasks necessary for successfully managing your investment portfolio. We provide you with professional, sound advice to help optimize your results. When April rolls around, our financial planning services team will be there to help. We approach tax planning in a comprehensive, proactive way, with the goal of minimizing tax consequences and maximizing any possible returns. 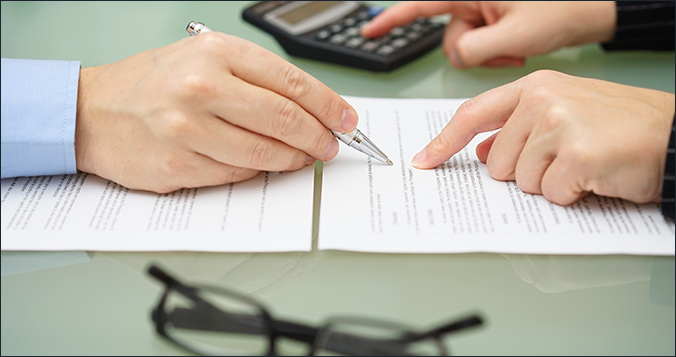 We’ll carefully scour over your business or personal records, ensuring we’ve covered every detail in preparing your taxes accurately. Our process starts with you. As our client, you will be assigned an Advisor, a financial planning professional who is your primary contact within our firm. Your Advisor will work very closely with you to build a relationship based on trust and integrity. Your Advisor needs to fully understand your situation and develop a plan aimed at helping you achieve your short-term, intermediate and long-term goals. Your goals are the framework for your plan and provide a clear-cut path for measuring success towards the objectives you want to achieve. We help you achieve these objectives through determining the best use of your hard-earned money. Your investments are a mechanism for helping you achieve your goals and objectives. Therefore, we will work with you to create an investment strategy that is comfortable for you – one that works within your personal risk tolerances and will help you meet your financial objectives. 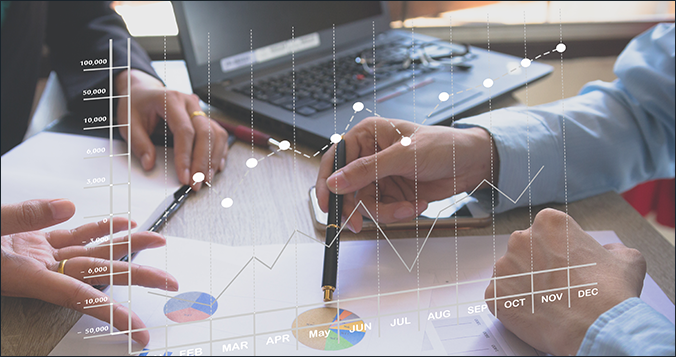 Your Advisor will work closely with our experienced investment management team to leverage our internal research, trading, and portfolio management groups and identify the recommended mix of investment securities for your portfolio. 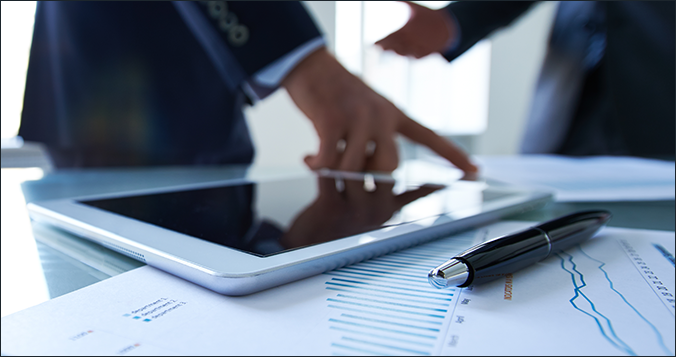 We manage balanced portfolios that include cash, bonds, some mutual funds, and stock in individual companies. Through our disciplined approach we help reduce downside potential while growing your portfolio in a manner that suits your needs and objectives. We are able to provide both highly experienced and newer investors with personalized, active portfolio management based on real-world experience, analytics, and insights, not just automated algorithms. Through our customized and hands-on approach to financial planning and investment management, we truly become a partner in your life, actively working with you to help you reach your goals. For example, for some clients we may not actively manage all of their invested assets (such as a company 401K plan); however, we still advise on the whole picture and structure our target portfolio mix accordingly. We also act as facilitator whenever necessary and help coordinate plans with other professionals such as your attorney, accountant, or insurance agent. Backed by our team of financial planners, CPAs and other tax professionals, legal professionals, and support staff, we are uniquely qualified and equally passionate about helping clients and their families achieve their financial goals. The process always starts with you and final decisions are always up to you. At John G. Ullman & Associates, Inc., we understand fully that final decisions related to your financial portfolio are always up to you. We’ll always provide honest, professional advice to help you achieve your short-term and long-term financial goals. Give us a call today at 1-800-936-3785 to get started.